Very few cities in the world evoke so quickly images in our mind as Venice: narrow winding canals, slender black gondolas, glittering mosaics, ancient marbles, feathery masks and artistic glassware. St. Mark’s Square, the famous Piazza San Marco, is the most visited site; every year 27 million visitors reach Piazza San Marco. 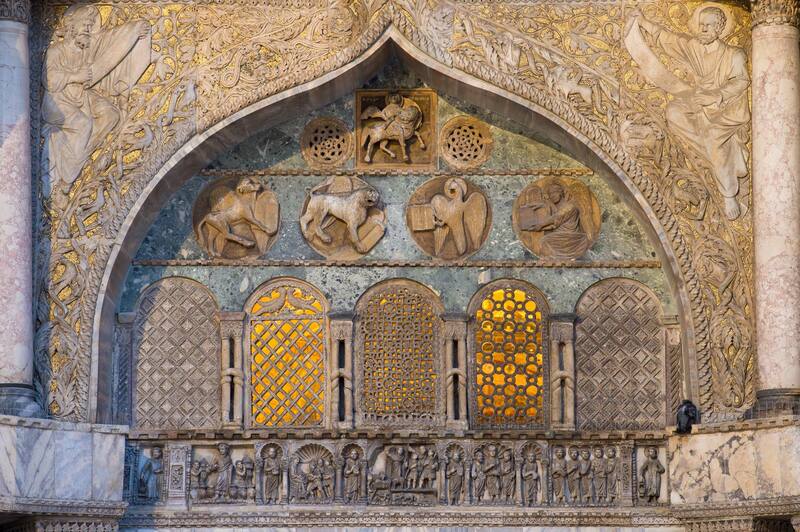 St. Mark’s church is the clearest example of Venice’s Eastern heritage with its golden Byzantine mosaics. The bronze horses on the balcony bring us back to the Middle Ages, the Fourth Crusade and the start of the rise to power of la Serenissima. 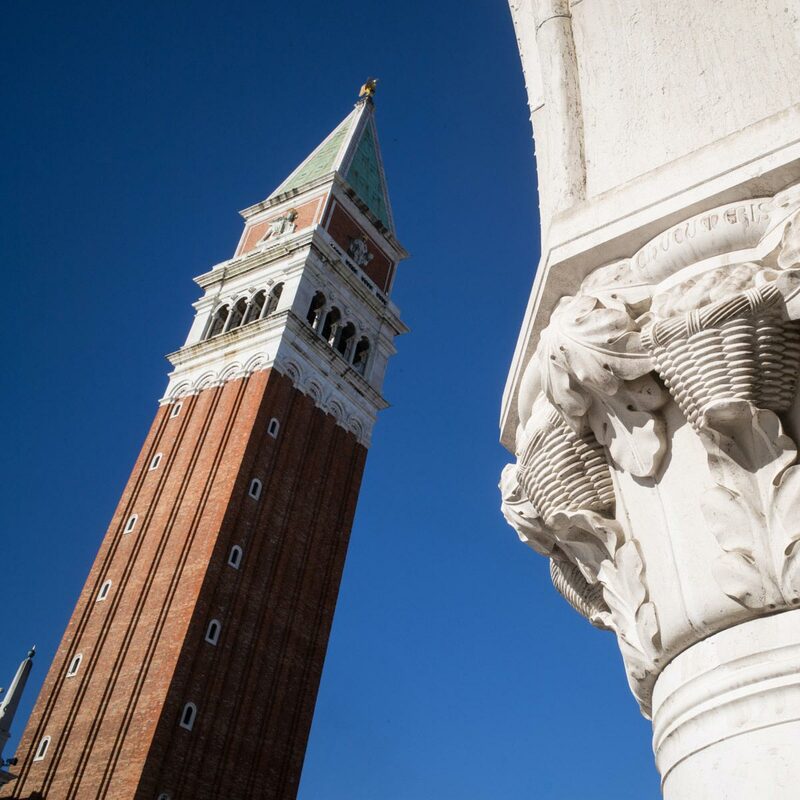 The Gothic Doge’s palace, the former residence of the Doge, the ‘leader’, and the seat of the government, brings us back to the Renaissance and the Golden Age of Venetian painting with its vibrant colourful masterpieces by Veronese and the dramatic big canvas Paradise by Tintoretto. This is what Shylock says to Bassanio in the Merchant of Venice in a street, possibly by the Rialto Bridge on the Grand Canal. Millions of visitors a year walk past these landmarks. 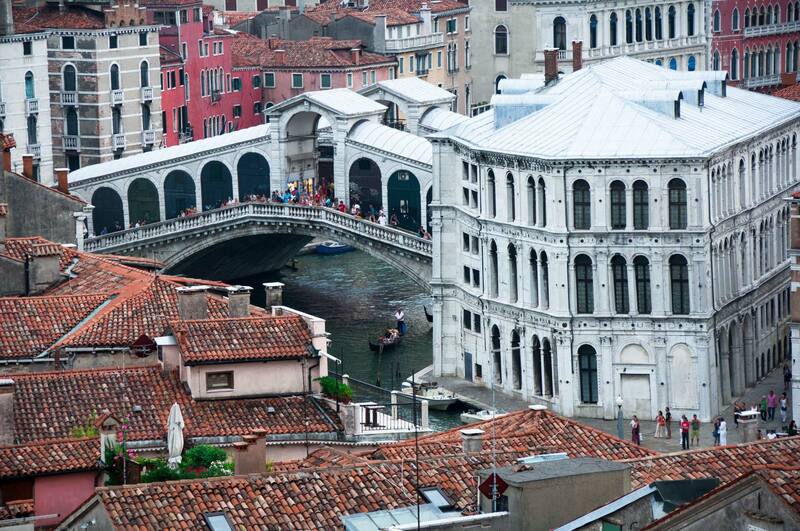 But what about the silent, hidden treasures of Venice? Venice is not only art and architecture… What about the small charming wine bars (with their tin bowls once used to prepare polenta hanging down from the ceiling) that display fish appetizers such as marinated sardines, toasted bread with shrimps and polenta? What about the marionette maker or the mask maker? What about the Lido beach with the massive stone boulders placed for protection from the sea, the fine sandy beaches of the Adriatic, and the Art Nouveau Villas? I would love to show you all this on a private guided tour!